Zero Grams of Trans Fat! 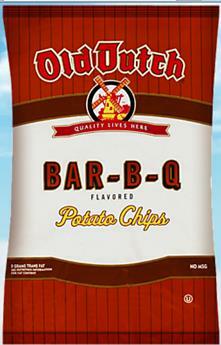 Old Dutch Bar-B-Q Potato Chips have the backyard barbecue taste that delivers every time. They're crispy, satisfying, and simply delicious.